Steven and Shelley Stockton want to add a hallway to their home. Currently they have to go through a bathroom, a bedroom and a closet to get to their daughter's bedroom. They plan to add an exterior hallway in 7 days on a budget of 2,5000 dollars. 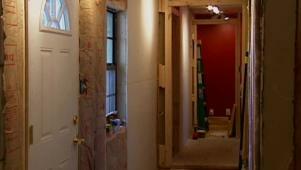 Can Stephen add a hallway to his home in seven days with a $2,500 budget?